Let's return today to the lands where the Chronicle first stepped foot, the lands where our stories about this great realm all began--let's return to Krastardob. 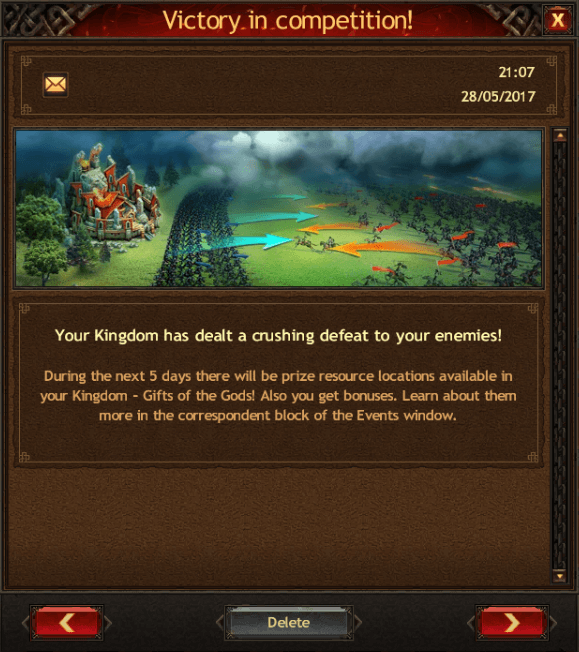 This kingdom continues to suffer from intense infighting and conflict between clans, who are never really to settle their differences. Pockets of resistance have formed and banded together, battling the other side, neither thinking they are in the wrong. Yet, this conflict has taken a heavy toll on many, and some have either been killed off in these battles, or simply departed for newer, more promising lands. 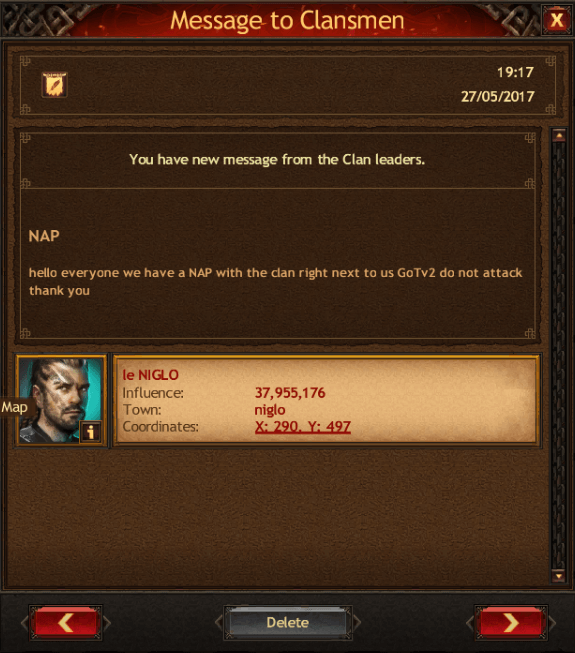 This is a fact that every clan must deal with, and how they deal with it determines the future success of the clan. 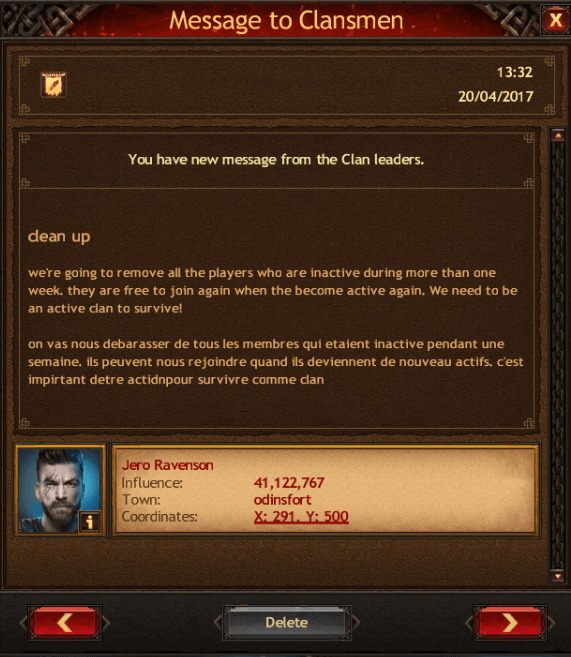 One such clan that has recently dealt with this very issue in their own ways is none other than the Atlantic Coalition, a proud Francophone and English based clan. Recently, because of these challenging times that all are facing, they have had a change in leadership, as their old chieftain chose to step down and rase up another, more vigorous member of their ranks, passing on the mantle of leadership in the process. 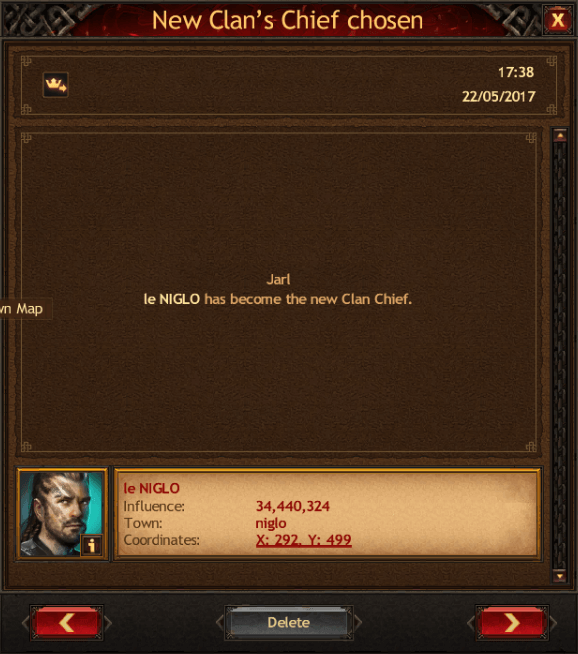 Under the guidance of Le Niglo, they have pushed on, and purged all the old forces that have gone dormant within their clan. Choosing to become a more agile and mobile force of defenders, rather than continue to carry what they term as "dead weight" and those who are adding little to nothing of value to the collective. In addition to this, he immediately set to work, securing an alliance with the clans direct neighbor, hoping to avoid any further needless wars with those who truly aren't their enemies and share similar interest. 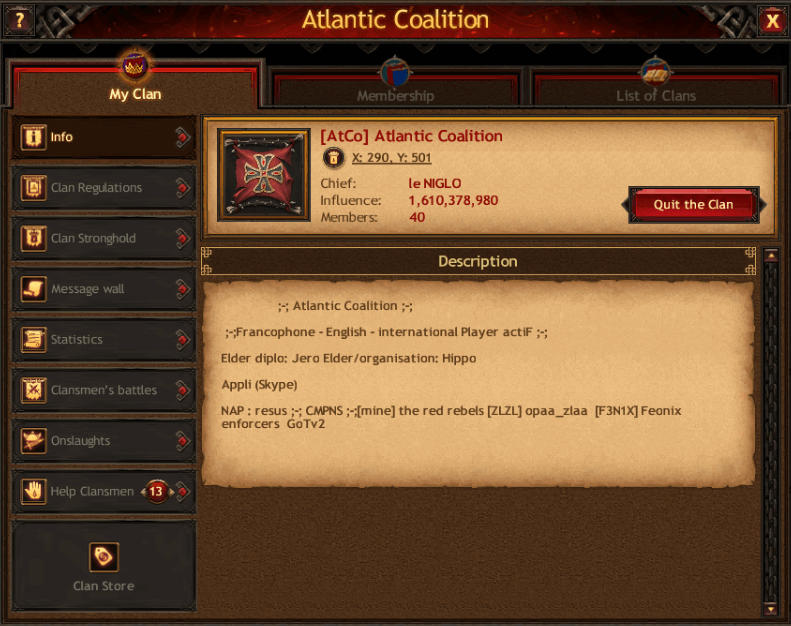 As can be seen from the image above, the GoTv2 clan shares a direct border with the Atlantic Coalition and are so close, their lands are almost one. 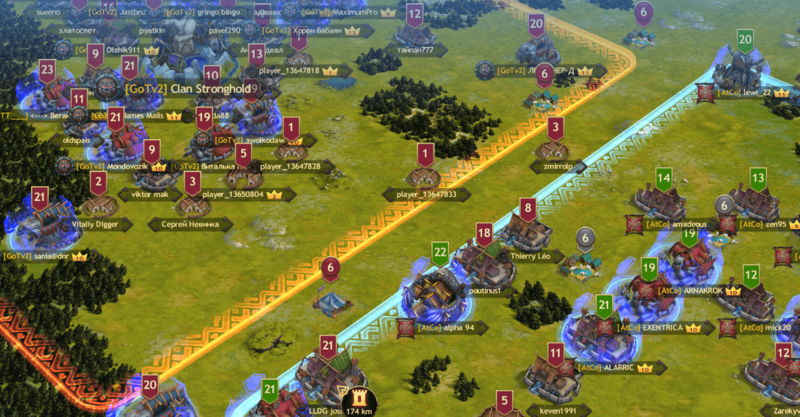 This wisely chosen alliance will double their strength and secure their North Western border from incoming threats. 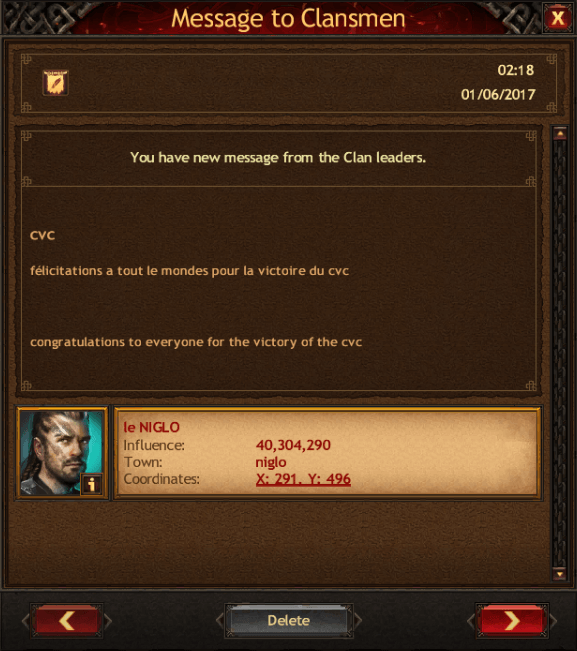 Finally, the new chieftain, Le Niglo, set to work sharpening the battle skills of his warriors, leading them successfully into their recent clan vs clan event, which they defeated their opposition in a grand display of both strategy and brute force. Although they have experienced many challenging times and many hardships, with a new leadership and a new fresh outlook on life, the future surely does look bright for the Atlantic Coalition in the days ahead. To them, we wish them the best of luck as they continue to grow and prosper.